Spring has finally arrived so it’s time for some outdoor family fun! To become physically fit while creating unbreakable familial bonds, attend and participate in fitness-centric events that will help your family spring into action! Location: San Gabriel Park, Area Z Gazebo, Georgetown, TX 78626. Start your family’s physical fitness endeavor off with a fun run this Spring. Paws for a Cause is a fun run organized by St. David’s School of Nursing students. It is open to the public, pet friendly, and promises to be a family fitness-centric event. Fun run registration costs $30, and includes a t-shirt (some restrictions apply). Money raised from the 5 kilometer fun run will aid children at Round Rock and Georgetown ISDs. Date/Time: Saturday, March 28, 2015, 9 a.m. Location: Play for All Abilities Park, 151 North A.W. Grimes Blvd., Round Rock, TX 78665. Even the tiniest tykes need exercise. That’s why the Play for All Abilities Park Special Needs Easter Egg Hunt is a perfect family-friendly event to get your little ones moving! Hosted by Round Rock Parks and Recreation Department and Seton Medical Center Williamson, the egg hunt encourages children with various disabilities to be active while having fun. This event is free. Spaces for egg hunters are limited. To register for your egg hunter, visit www.RoundRockRecreation.com. Egg hunt wristbands will be available March 26 & 27 at the Clay Madsen Recreation Center and onsite March 28. Date/Time: Saturday, April 11, 2015, 10 a.m. Location: Round Rock Police Department, 2701 North Mays, Round Rock, TX 78665. The RR Lions Club Event wants to know: Do you have the heart of a lion? If you think your family can meet and exceed this year’s challenge, prove it during Family Fitness Day. Mark your calendar for this exciting family fitness event, and prepare for a day of live music, a push up challenge, a 5k walk, fitness and dance classes, vision and health screenings, and so much more! Family admission costs $10. Each push up challenge costs $10. All proceeds will fund Lions Club projects such as glasses recycling, Leader Dogs for the blind, and local scholarships. 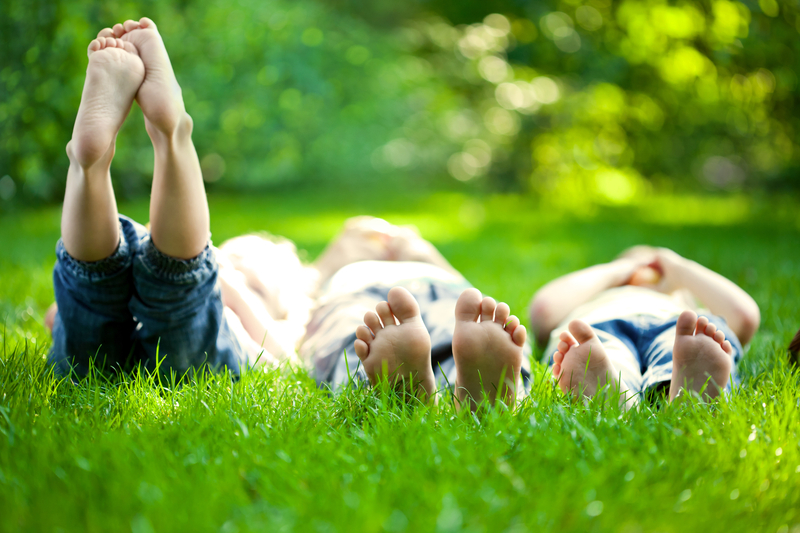 Actively stave off preventable diseases such diabetes, childhood obesity, and others with these Springtime family fitness events that you and your children will enjoy!